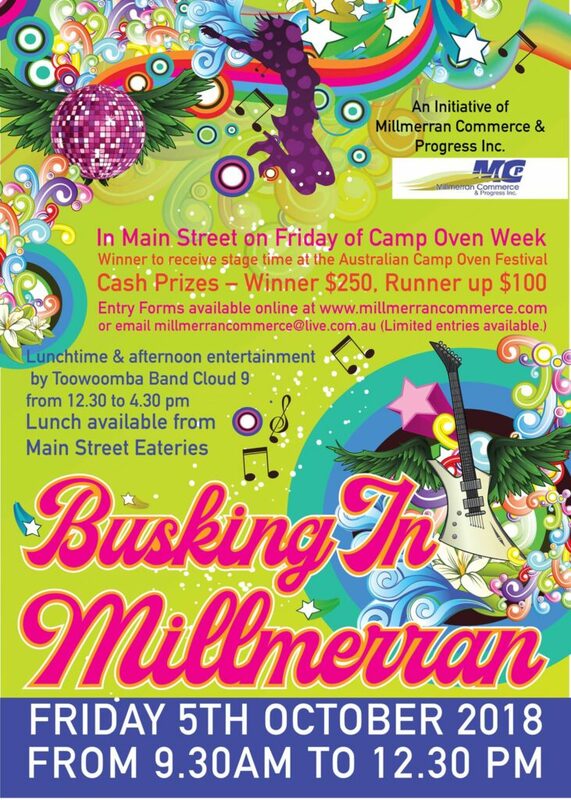 The Millmerran Commerce and Progress Inc will again be running their Busking In Millmerran initiative on Friday 5 October. Lunchtime entertainment will be by Toowoomba Band, Cloud 9 and our main street will be open for a bite to eat. There are some great prizes on offer in the busking competition so either come along to enjoy the music or to show off your musical talents on stage!